Are you a leader in the top 20% of your profession with a passion for excellence? Are you tired of the dysfunction in your current company and ready for a change? 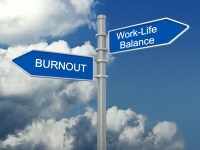 Do you want to achieve your career goals, but not at the cost of a poor work-life balance? If so…we may be able to open a door for you with an emerging company in alignment with your personal and professional goals. We accomplish this by carefully listening to your needs and wants. Once understood, we keep you on our active radar to match your aspirations with the needs of our valued client companies and recruiting partners. We make it our business to identify and partner with remarkable companies…and avoid disreputable ones. Take a quick tour of our current jobs. Most of these 2000+ job postings are not advertised to the public. Best part…you can apply right on the job posting with minimal effort. You can also set up an email alert to notify you of new job postings that match your specific search criteria.